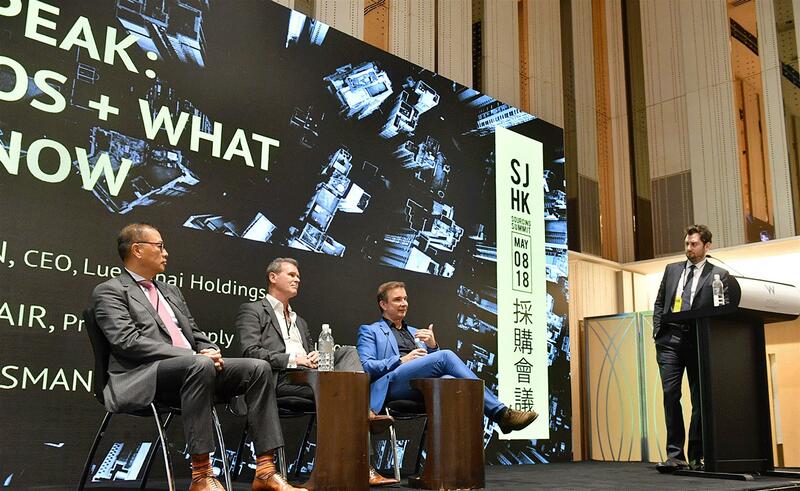 Luen Thai Holdings Limited CEO Raymond Tan, together with other top executives from the fashion and apparel industry around the globe, spoke at the first International Sourcing Journal Summit on May 8, 2018 at W Hong Kong. In his talk, Mr. Tan highlighted the need for digitalization, automation, and building new business models to address the growing challenges of apparel manufacturing. “The supply chain requires transparency and connectivity between the brands and the manufacturer, but at this moment, no brand owns manufacturing in a way that’s meaningful enough for them to build this new supply chain model,” he said. Mr. Tan emphasized that a forward-thinking mindset is also key in leveraging a new business and supply chain model. Furthermore, he also said that companies could have a workaround by bringing a younger executive team, who understands the current market who could also collaborate with the traditional and senior executives. Edward Hertzman, Founder & President of Sourcing Journal Media, opened the program which also featured the inauguration of the international edition of Sourcing Journal publication, which has been a resource for the business side of fashion since 2010. Premier executives like Guido Schlossman (Synergies Worldwide), Sally Peng (Sandler, Travis, & Rosenberg), Dr. Steven Dekrey (HKUST Business School), and Dr. Achim Berg (McKinsey & Company) attended the event. Luenthai’s Raymond Tan spoke with two other chief executive officers from Synergies Worldwide and Li & Fung Group.